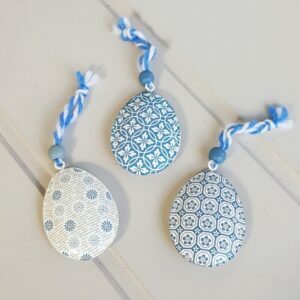 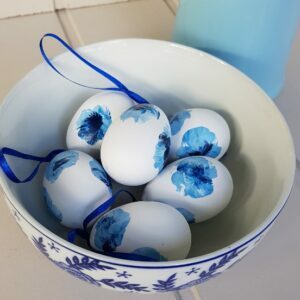 These three lovely glass eggs will look wonderful on your Easter tree. 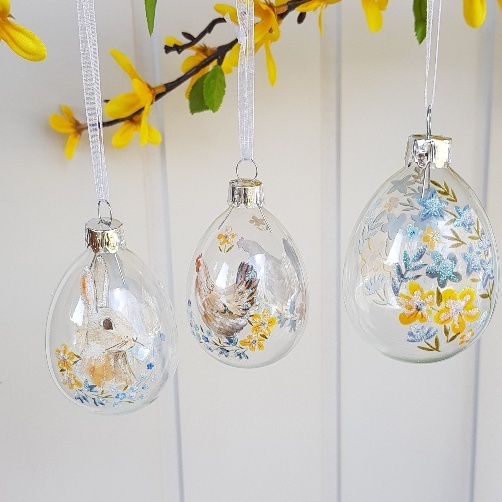 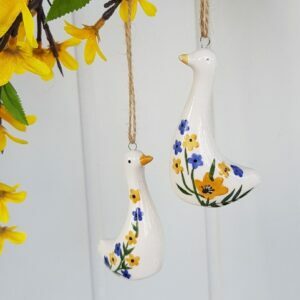 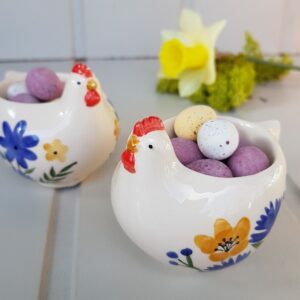 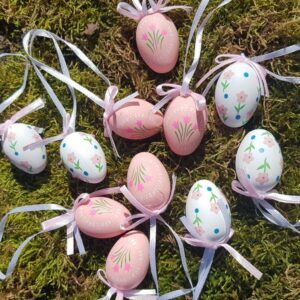 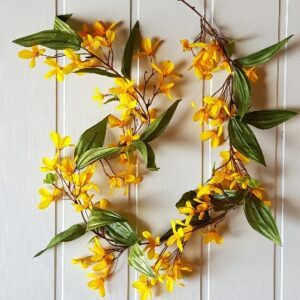 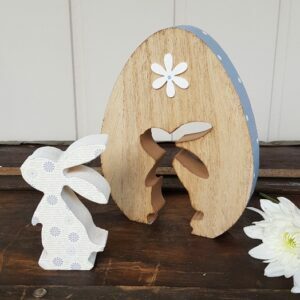 The set of three egg decorations feature spring flowers, a lovely hen and a sweet little rabbit, all with a touch of glitter. 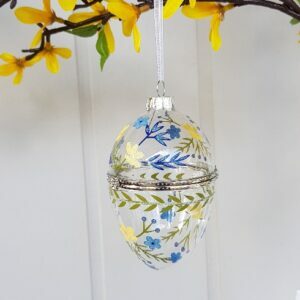 Hung on white ribbon.